Good morning. 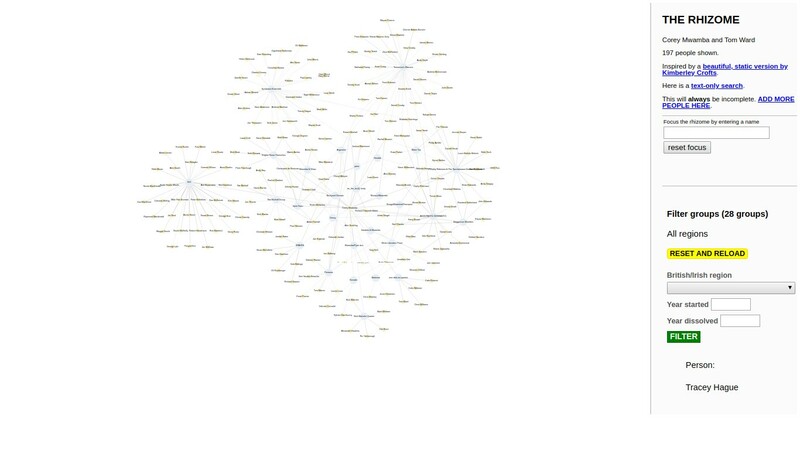 THE RHIZOME now has focusing links for individual musicians: you can produce a graph with just that person's connections. Narcissists, rejoice! Here are mine.